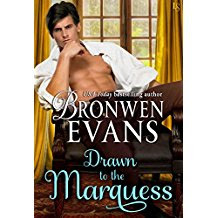 I've been a fan of Ms Evans books for a while now, so I couldn't wait to start her new book, I read it in one day, yes a late night was involved but we will gloss over that. So take it from me when you start reading you will not want to put it down. Now Stephen Hornsby, the Marquess of Clevedon is a man on a mission, he wants to collect beautiful things and this time he wants a landscape by a unknown painter called Wilson...but he has a problem unfortunately for Stephen, Lady Penelope also wants the painting. So how do I describe Stephen, well I will quote what Penelope said about him. God the man could make a nun give up church, all I can say to that is wow. Now Stephen has a problem...but it takes his friends and family to make him realise that he can have a certain something, to find out what it is you have to read the book. So how do I describe Penelope, she is woman that even though she is beautiful, she also has a problem, Penelope's problem is regarding her late husbands brother and she needs Stephen help. To find out more you must read the book. and the book is published on 4th September.